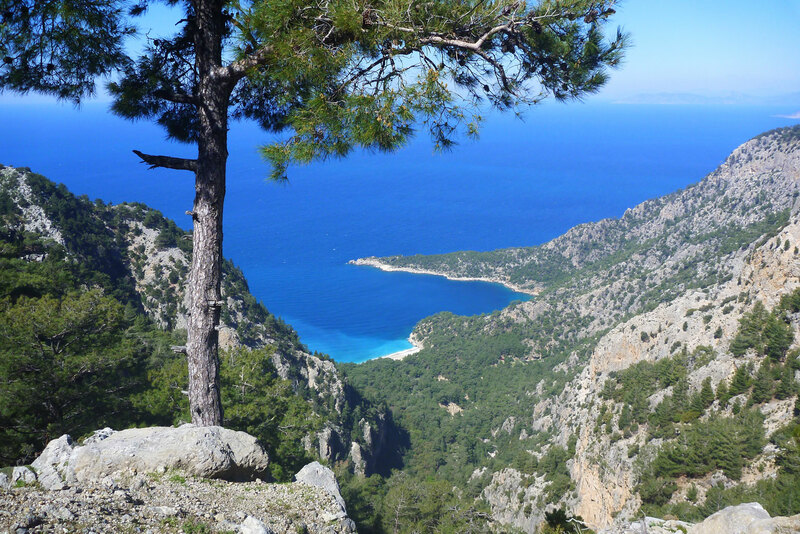 The Lycian Way is a 450-km path in southwest Turkey between the towns of Fethiye and Antalya in the east. 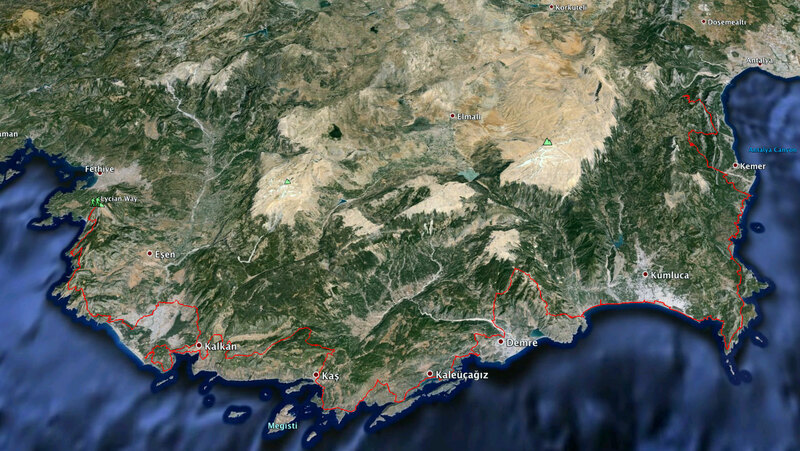 Established in 1999, it links a network of paths and tracks along the coast and through the adjacent mountains, passing sites of ancient Lycia. 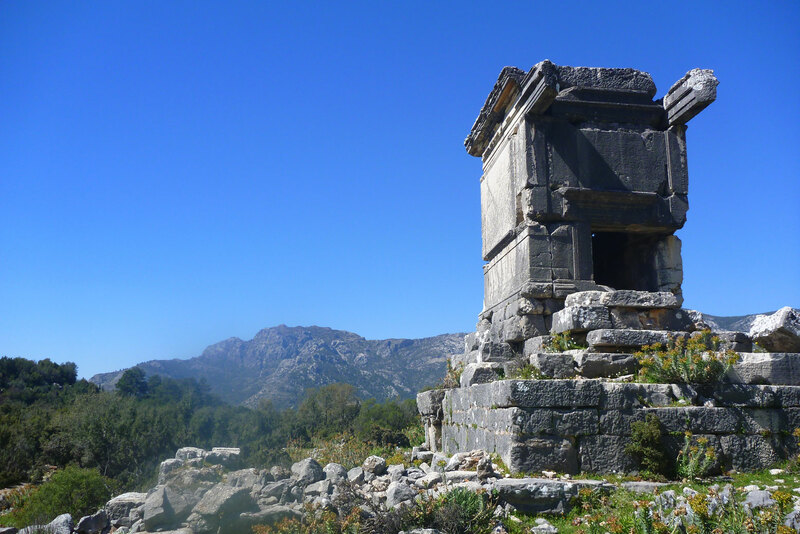 Along with encountering rural Turkish culture, the agreeable Mediterranean backdrop and the springtime wildflowers, it’s these fascinating ruins that set the Lycian Way apart from most other long-distance walks. 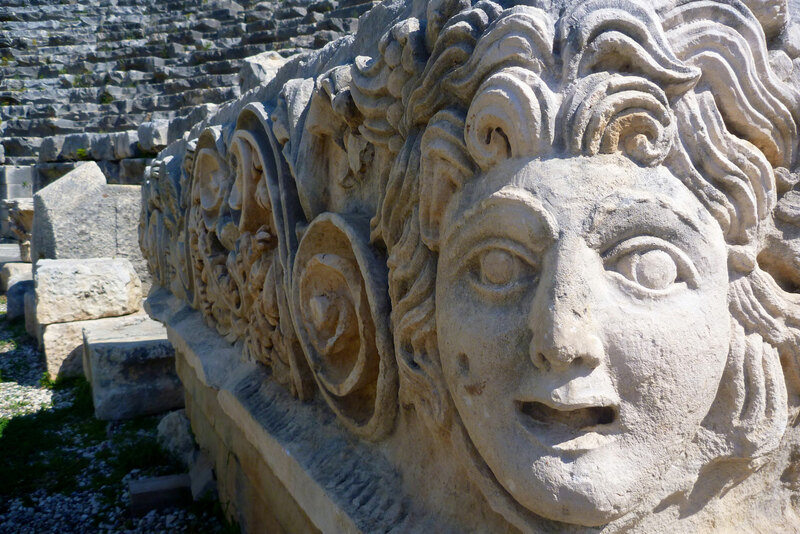 Turkey has no shortage of impresive historical sites of course, but on the Teke peninsula where Lycia flourshed from 500BC there’s a particular concentration of such monuments. Some, like the huge complex of Myra (above left) are fully fledged tourists sites with entrance fees. Others, like tiny mysterious Sidyma (right) or Phellos poke out from the scrub high on a ridge and are all the more atmospheric for being virtually unvisited. At times you’ll find yourself literally walking over the jumbled rubble of some long collapsed temple (left), along a clay-lined Roman aquaduct or up a steep cliff path that’s been a trade route for millennia. These’s nothing that significant about the obscure Lycians – a mini state that in turn fell under the influence of the Greeks, Persians and Romans over the centuries before fading away as more recent empires made their mark. But one of their legacies are their distinctive rock-carved tombs which dot the landscape, alone or in clusters, along the entire walk and survive in the most unexpected places (right). Looking at the intricate topography of the coast I figured it might be worth carrying the 3.5-kilo penalty of my packraft and paddle blades, even though I knew I’d walk at least 90% of the time. I didn’t expect to finish the entire walk in two weeks either, but was sure my feet, legs and shoulders would enjoy the odd respite on the water. Note that the information that follows is only based on me doing the first half of the walk. A local ex-pat Kate Clow conceived the original walk in the 90s and wrote a guidebook, now in its 4th (2014) edition. I used the 3rd (2009) edition bought years ago and anticipating dealing with out-dated info. 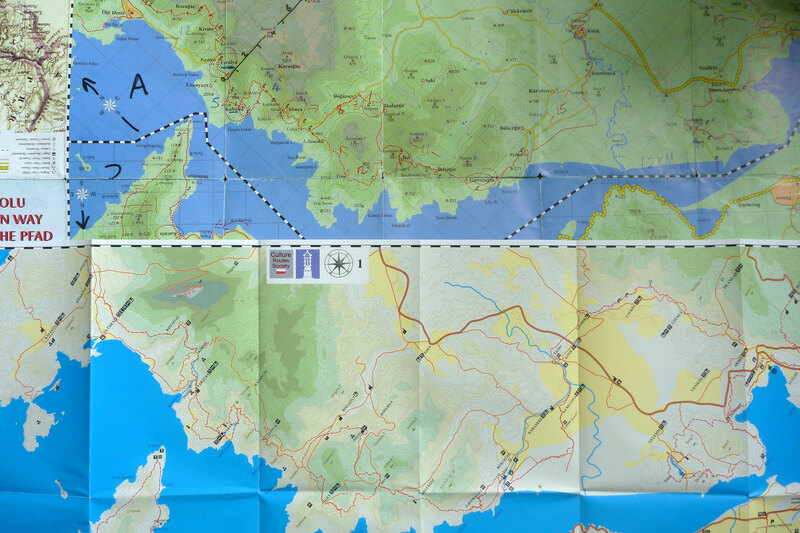 The guidebook includes a tear-out colour map that unfolds to show four panels covering the route. They produce an iPhone app too with an all-important tracklog, and you can get a few hundred free waypoints if you can prove you bought the book. Out of curiosity and with some hope, I picked up the 4th edition a few days into the walk. 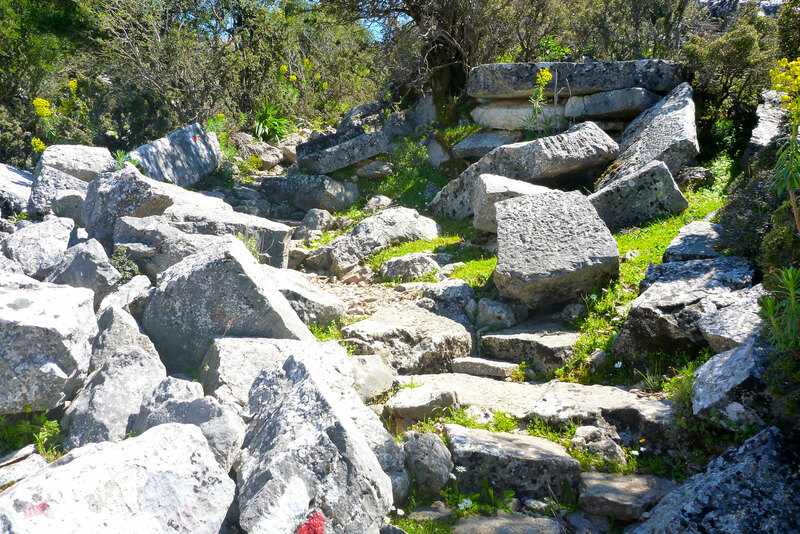 As a historical guide to the ruins and their context it’s very good, but as a practical walking guide and despite four editions and some 15 years in print, frustration with the Lycian Way book was a common complaint among walkers. There’s a German guidebook (right; I heard no complaints from users) and I was told of the Trekright app which you can read about here or buy here. I don’t use iPhones but one walker who used both apps said the Trekright app was ‘…the best $5 I ever spent’. There’s a very good summary of the walk from 2011 (the whole thing in 17 days!) on BPL. And this is another website of a couple who walked the walk and give lots of good info. T Other than that you can download OSM mapping and try to install it into your device or GPS. I did that but all I could see on my Garmin 60CSX was a not so useful mass of contours behind the imported waypoints – no path or other detail which showed up on Garmin Base Camp on my Macbook (screengrab, left). Maybe my Garmin can’t handle all the detail or I did something wrong. I also tried to load a 2011’ tracklog into my GPS (see link below). That may have worked but I deleted it by mistake. A tracklog (‘breadcrumb trail’ or a continuous line displayed – no points to aim for) would almost make it too easy. 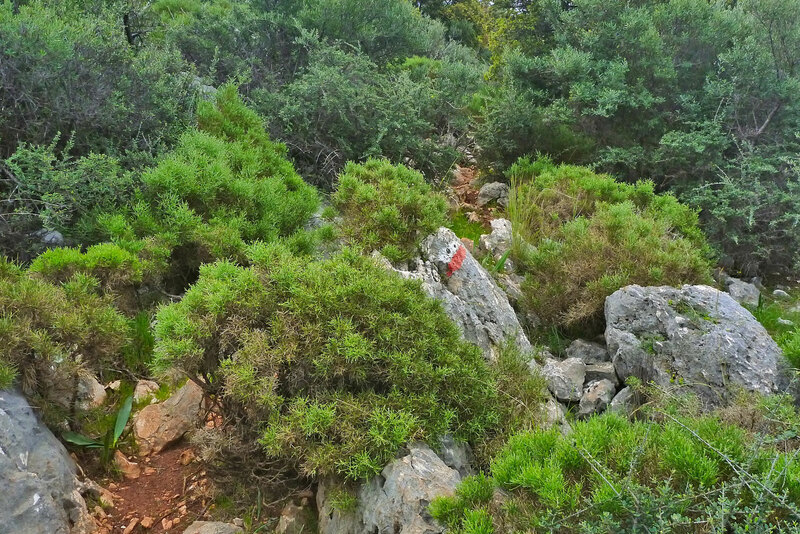 But while 90% of the time the red and white waymarks (below left) are all you need, there are times when you’re lost and either hot/cold, tired/aching, fed up or perched on an exposed and loose slope where you just want to get back on track. The route gets modified from time to time as new roads get built or areas get logged, but despite a warning I was given, old waymarks remain so there must now be a few variations. The route often seeks out parallel side paths to a road or car track, even if these roads see just a few vehicles an hour. At times it’s an agreeable diversion, elsewhere it becomes a pointless and frustrating blunder up some river bed that you hope will work itself out. While I’d prefer to wind along grassy, flower-lined paths bedecked with fluttering butterflies, I don’t mind tramping along a jeep track or quiet road once in a while. If nothing else it gives you a break from concentrating relentlessly on where to place each step. 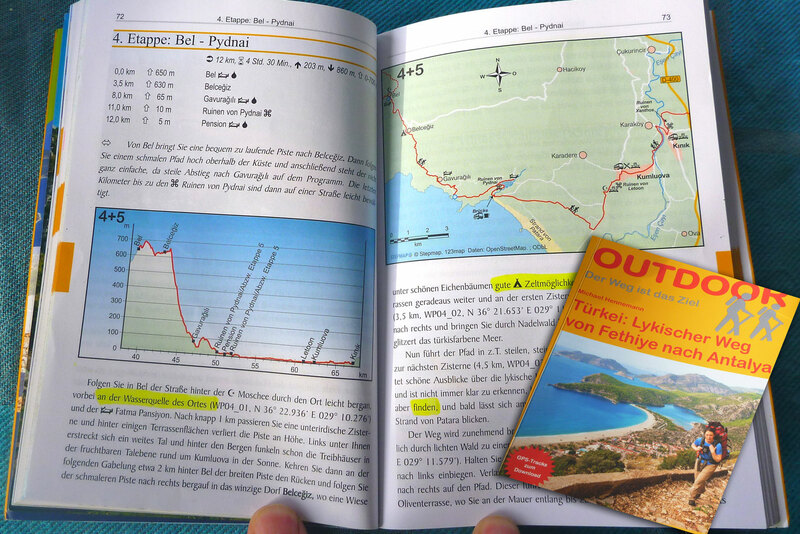 The lazy depiction of the official guide’s edition 3 trail map (top left) made it hit and miss as a route-finding aid. Accuracy and orientation is improved on the 4th edition map (below left) but along with some clutter this map drops a lot of detail showing springs, wells and other water sources along the trail so overall it’s actually worse. Without the GPS waypoints in places I’d have struggled to follow or re-find the track. 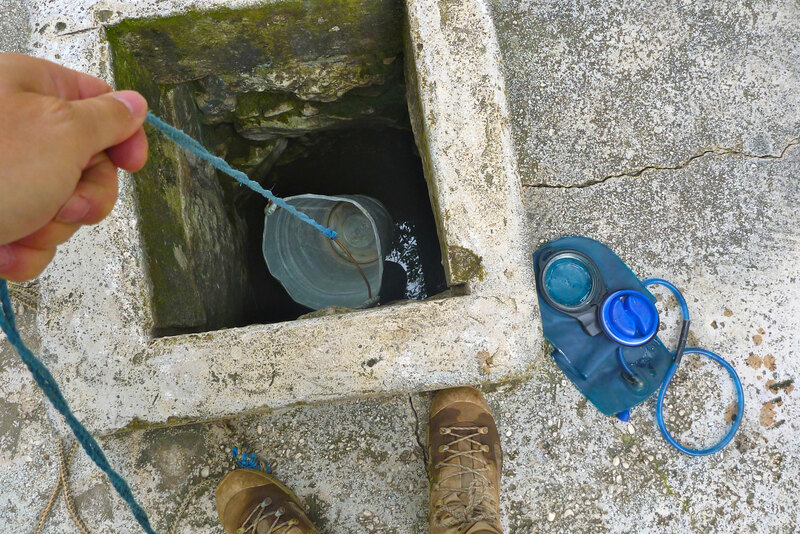 We all agreed that, as with many guidebooks or poorly marked walks, after a few days of occasional blundering you develop a sense of the path’s logic even when the map is vague and the book is baffling. 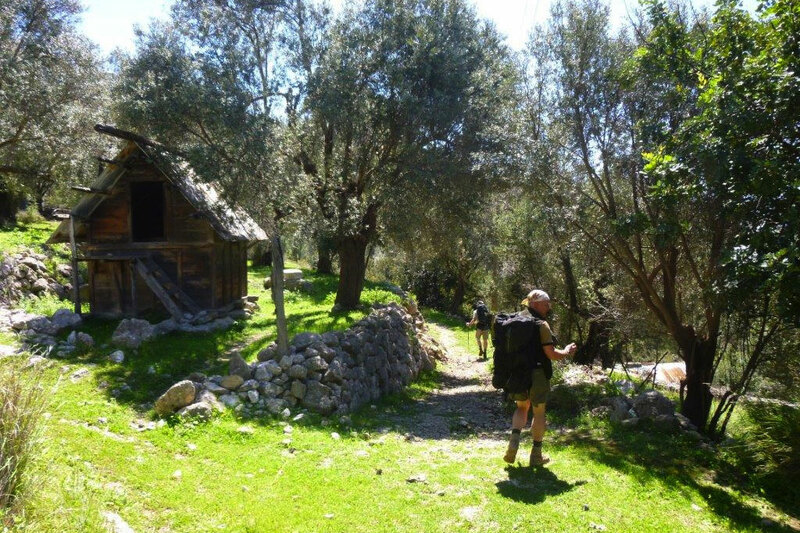 This lack of faith in the book, the map, the waymarking as well as the unnecessarily tiresome or boring route choices can encourage you to take short cuts or even bus rides or trailblaze your own Lycian Way. I doubt any two walkers follow exactly the same route but eventually we all got to where we were going – just not without occasional frustration. 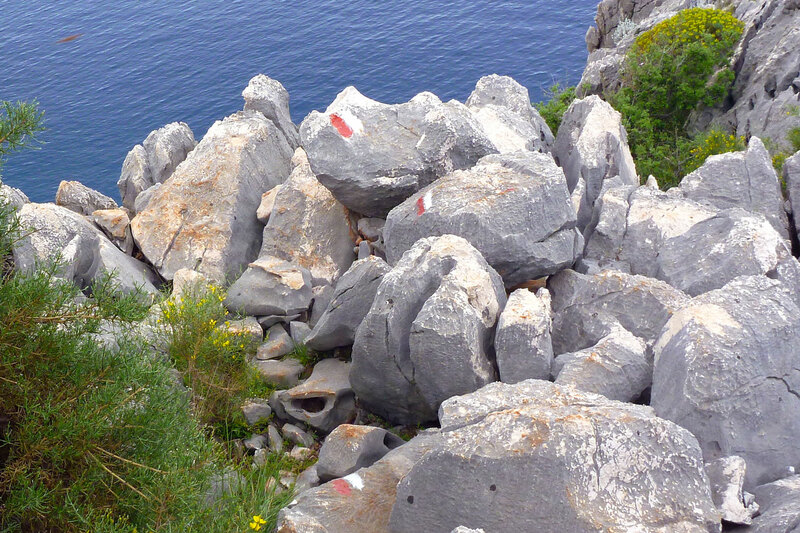 Just about the whole walk is on limestone and much of the path is on narrow limestone-rubble mule tracks hemmed in by thorny Mediterranean scrub with occasional clambering over bedrock. And when I say hemmed in I mean at times a few inches apart meaning you or your clothing will get scratched and poked and snagged. As maintaining the vegetation let alone anything else on a 500-km path is a major task, you just have to get used to it. 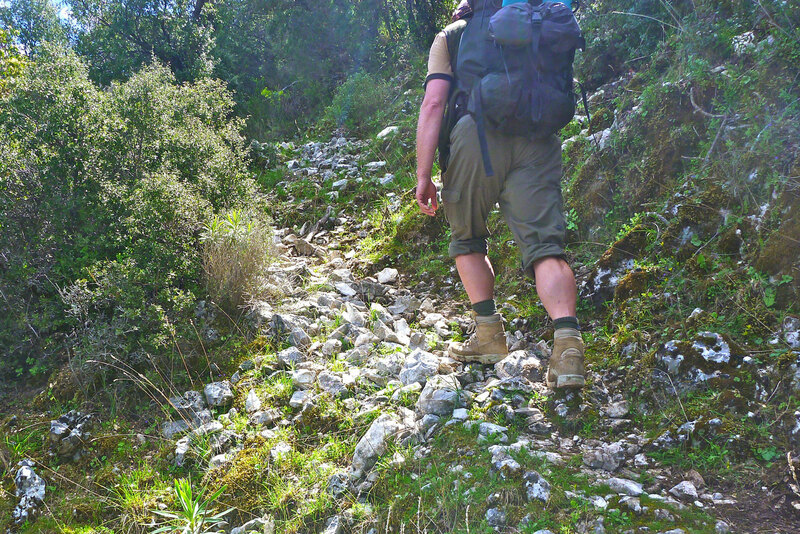 The Lycian Way is not a walk in the park and is most taxing when negotiating an incline on a steep coastal side slope while tramping on loose rubble or sharply weather bedrock as thorny bushes torment you from head to toe and the drop to the sea focuses the mind. I was very glad of my packstaff (below right) and the boots I chose for this walk with thick shoes that were immune to what lay underfoot. Other walkers I met were suffering or even taking days out to seek out more rugged footwear. Elsewhere the route follows jeep tracks or dirt roads (right), quiet backroads and very occasionally and briefly, main roads. And sometimes there’s no discernible path at all (right) but in these places the waymarking is usually very good or you’re lost. 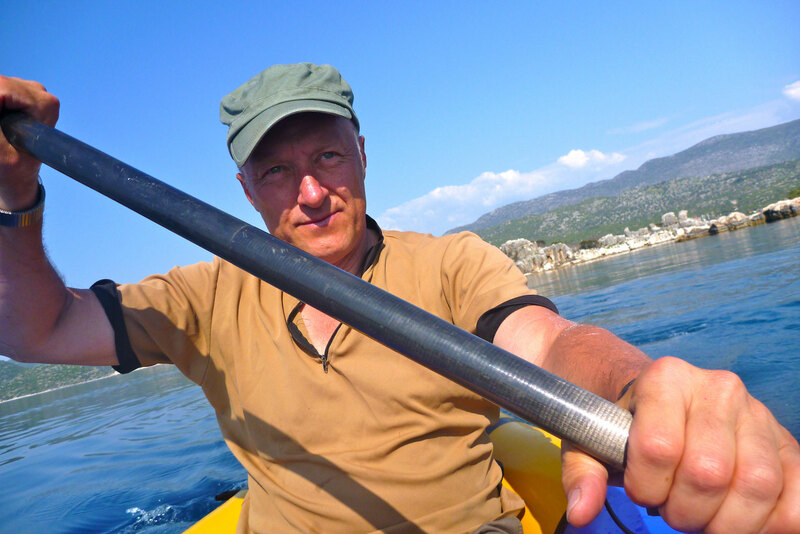 In a kayak it would be different, but at sea passing sometimes remote rocky shores and exposed headlands alone in a packraft was a bit intimidating. Mediterranean tides are minimal, currents – who knows – but the prevailing westerlies and afternoon sea breeze limited my choices to either sheltered lagoons or being able to easily get ashore onto a beach if the wind got up. With hindsight I now see where I could have paddled more had I been braver or had access to a reliable inshore forecast. Pensions offering half board (if there’s no resto option nearby) have cropped up in all the villages along the route in response to the Lycia Way’s popularity. Apart from the first night near the airport I never booked, never knew exactly where I might stay (often just one place in a village) but never had trouble getting a bed nor had to share a room. 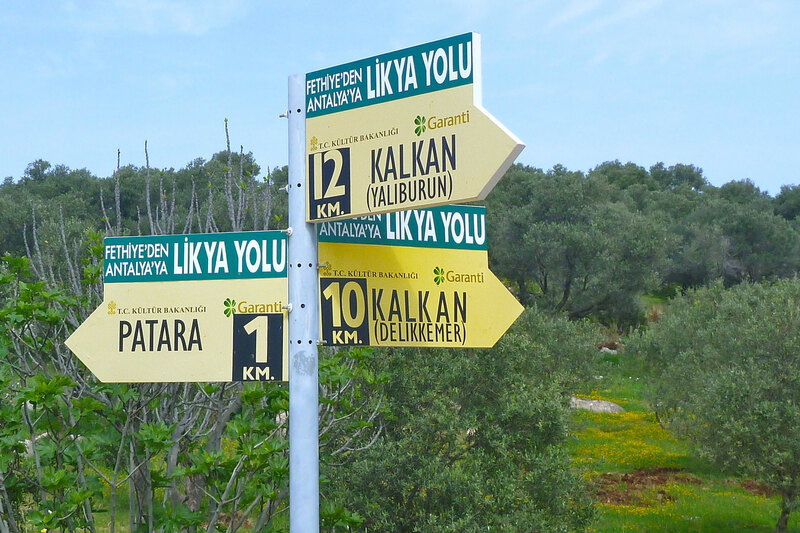 And there were many more walkers on the Lycian Way than I expected – some doing two-week’s worth like me, others doing sections between bus rides and a few going all the way and beyond. Pension prices ranged from 50L half board in a tiny room in Bel, up to 99TL in an inadvertently nice place in Uçagiz. Besides a shower and a comfy bed, for me one of the big attractions of pensioning as opposed to wild camping (left – easy, providing you had water) was the fresh food. If it’s there I’m happy to use it and pay for it and as I only carried a sleeping bag, mat and a stove, the weight penalty wasn’t too drastic. At a couple of points alone the official route (just after I finished in Demre) there’s no accommodation up the mountain and you have to wild camp for at least one night. Along with help with lodgings in bigger towns and guidelines on transport, I downloaded and printed the Lonely Planet Antalya chapter. Well worth £3 and some ink. 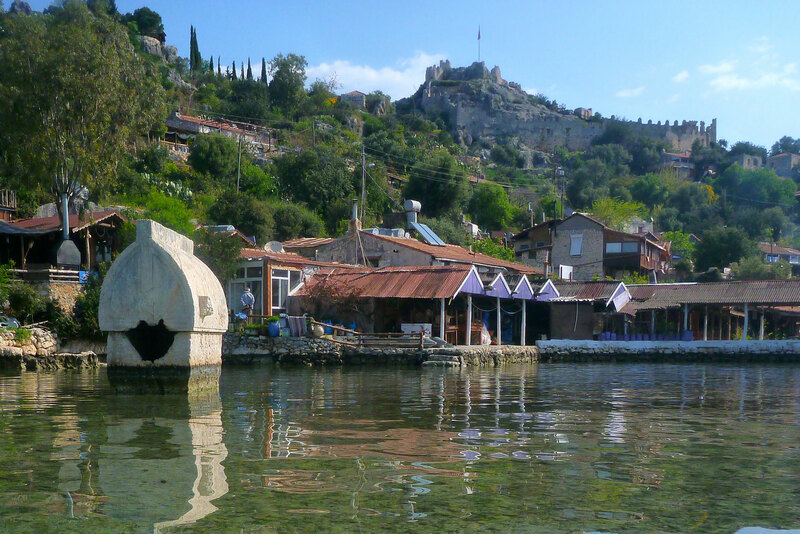 I flew with EasyJet from Gatwick to Dalaman where, if I’d been smarter I could have hopped onto a bus direct to Fethiye which is a resort. But my plane arrived late, I had a local hotel booked and I’m not sure the Fethiye buses were still running. 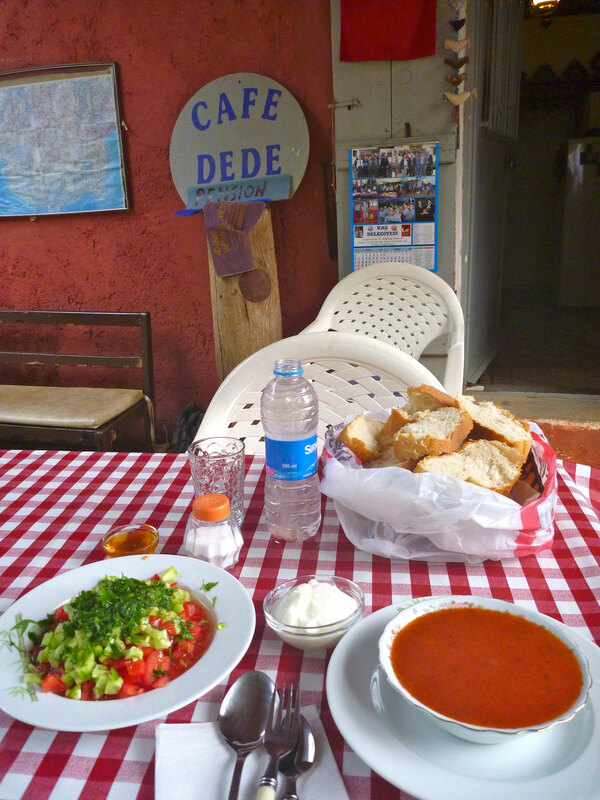 From Fethiye a 20-minute dolmus ride up to the pass before Olu Deniz cost 50p. At the end of the walk, from Demre I covered the 200-odd kms back Dalaman with changes in Kas and Fethiye over four hours and for about 25L. It was all very easy as most people outside of the villages spoke English. 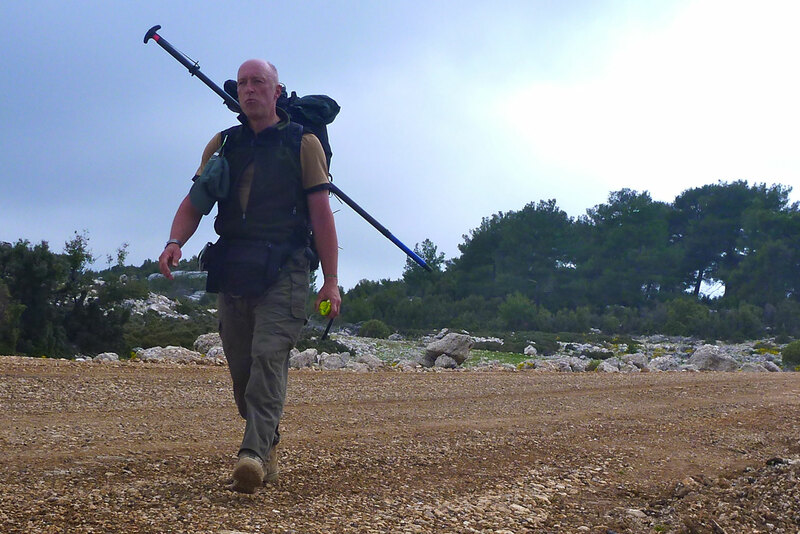 Locally, where there’s nothing, hitching is a viable alternative. Dolmus are local minibuses covering short village-to-town routes and modern air-con coaches cover longer routes at about 20p or less a kilometre. As mentioned, early on there were plenty of gushing springs by the track possibly fed by the still snowy mountains not far inland. 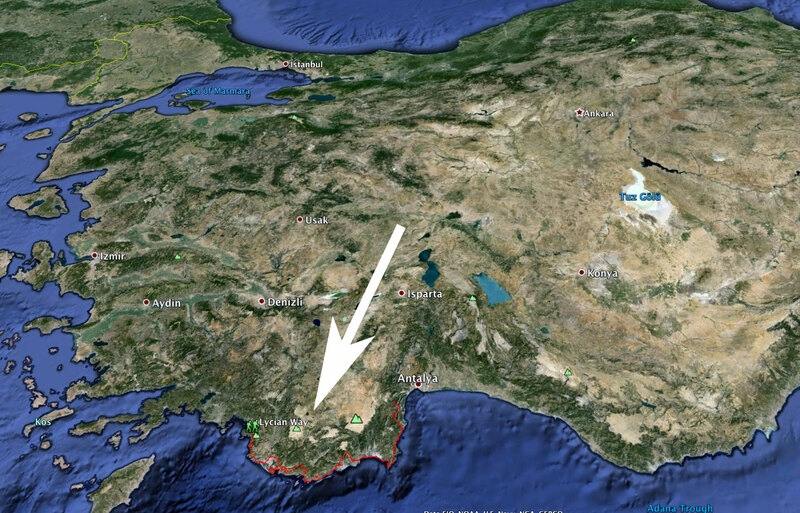 After Kalkan springs got fewer and wells and cisterns became spaced out (as did I for lack of water). 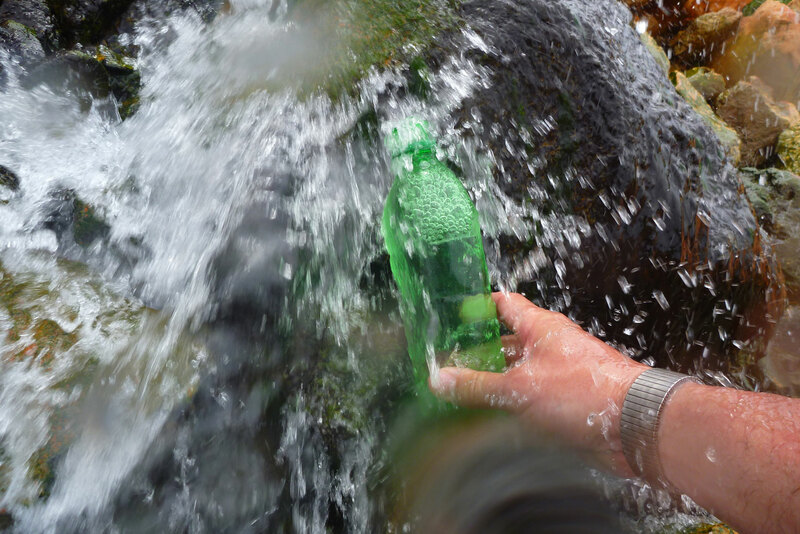 I didn’t filter my water – most of it is as natural as it comes. At lower elevations in the intensively agricultural areas I may have thought twice or used a tap. The big towns every few days have all the shops you need (with saliva-inducing Carrefours in most places) but village shops were disappointing, selling mostly long life stuff like cakes, biscuits and crisps plus maybe bread and cheese and spam-like sausage. 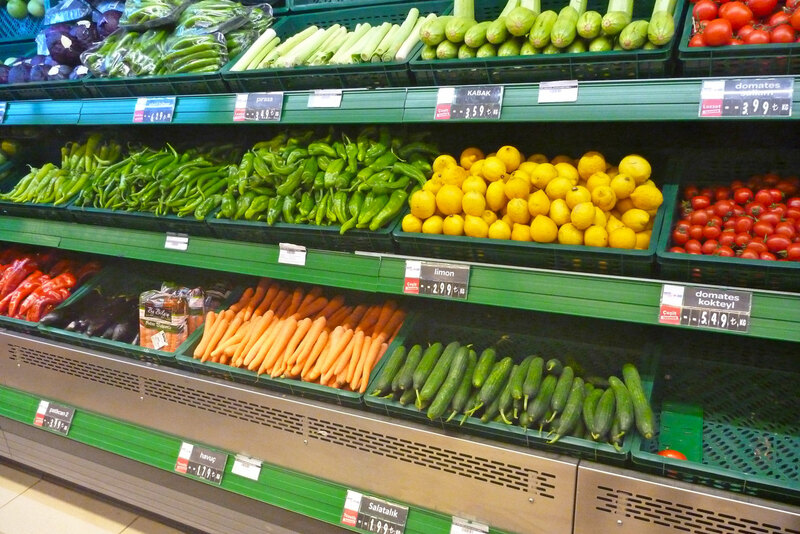 What they lack is fresh fruit and veg. In rural Turkey most people grow their own. I averaged about 100TL a day over 18 days, pension-ing all but one night. That’s about £27, mostly on the half-board pensions. ATMs are surprisingly plentiful from the moment you land to the bigger towns. It’s possible to pay in Euros at some pensions. 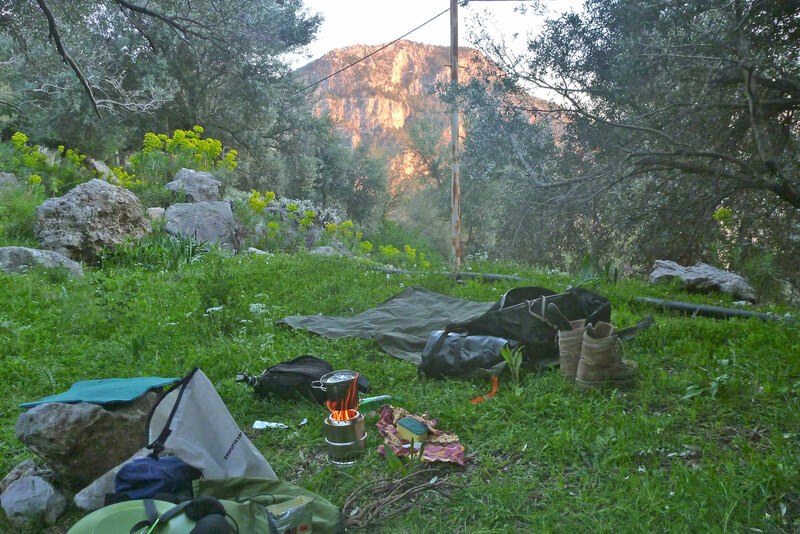 This entry was posted in Alpacka Yak, Packrafting, Travel Reports and tagged Lycian Way, Turkey. Bookmark the permalink.